-: NEW DECK GRAFIC DESO- (VEGETARIAN -BONES)FOR R.O.W.! 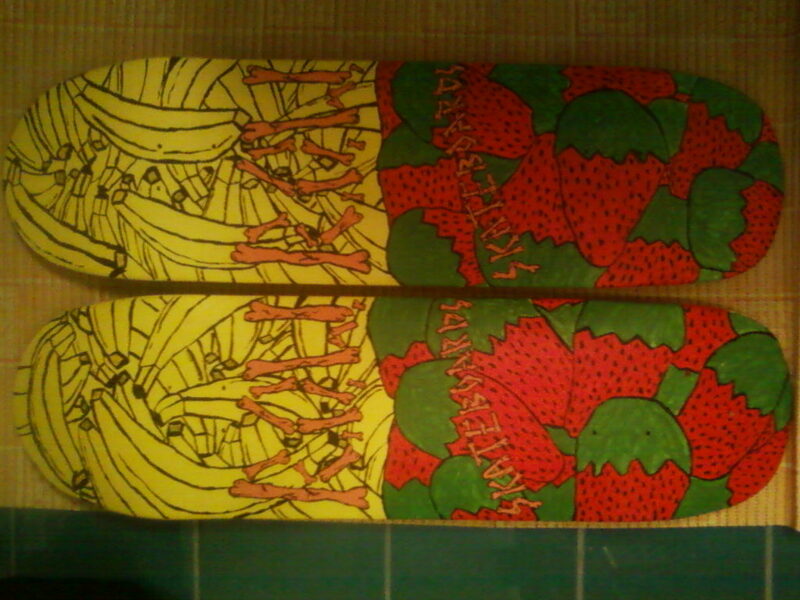 NEW DECK GRAFIC DESO- (VEGETARIAN -BONES)FOR R.O.W.! TODAY I PAITED TWO NEW BOARDS FOR R.O.W. ! IF SOMEBODY WAN,T TO BUY ONE PLEASE CONTACT US ON OUR WEB PAGE ! THE PRICE IS SAME LIKE OTHER BOARDS! THIS GRAFIC ONLY AVAILIBLE ON 8.6 INCH BOARDS ! 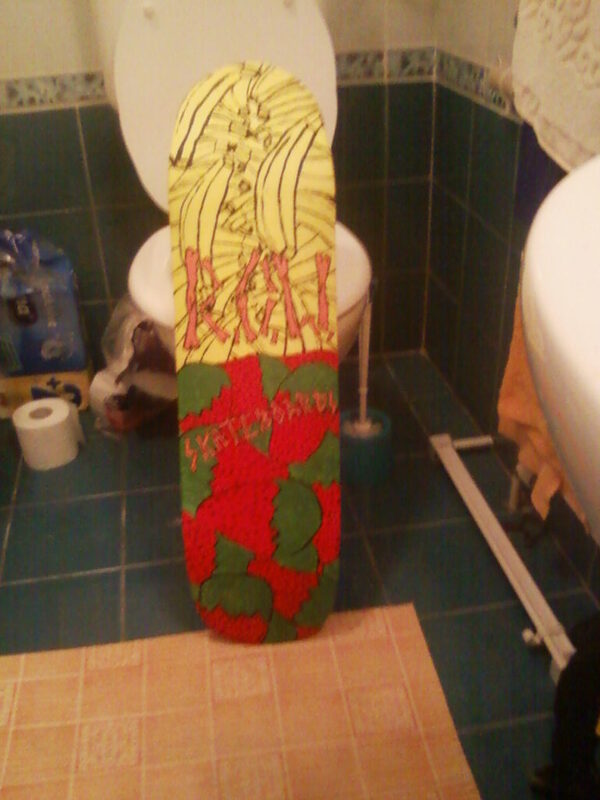 AND IF SOMEBODY WOULD LIKE TO HAVE SMALLER BOARD WITH THIS GRAFIC I CAN STILL MAKE SOME BOARDS IN OTHER SIZES! THERE ARE STILL SOME SHIRTS AVAILIBLE WITH FIRST GRAFIC ,AND 2 NEW ONES! IF SOMEBODY LIKE TO HAVE A T SHIRT CONTACT ME OR WRITE TO R.O.W. MAIL!